J’adore Paris! Or is that too much of a cliché?! Just over two hours journey on the Eurostar from London St Pancras and with tickets as little as £59 (if bought way in advance), Paris should be on everyone’s visited list. It’s on my ‘visited’ list erm, five times. First time I went on tour with the county youth orchestra I played in and we had a day trip and concert to play in Paris. 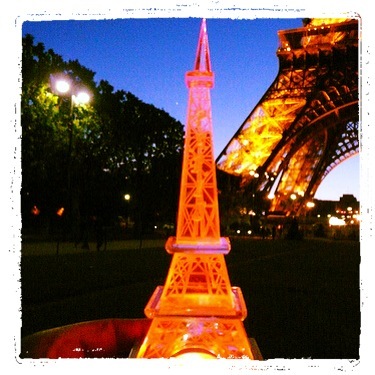 My only memory from that trip was going up the Eiffel Tower and picnicking by the fountains below. It obviously instilled something in my memory though as every time I visit I always make sure I visit the Eiffel Tower at some point. To either go up again (queues and cost means I only do this when travelling with first-timers), take photos at night when it sparkles or just to watch the world go by, despite the touristy part it’s a wonderful spot. My second trip was for New Years Eve 2001. We caught the Eurostar from Waterloo and arrived in Paris for 8pm. Found a cute restaurant, saw in the New Year under the Eiffel Tower – pretty terrified as hundreds of firecrackers where thrown underneath the steel structure and the sound was like Paris was under attack! – then we found a bar/club and back on the first Eurostar out of the city. Oh to be young again! The rest of my visits have all been civilised events – Mum’s 60th, a visit after returning from 16 months in Asia and Australasia (I was desperate for some European culture) and again to visit friends. If you were to ask me where should you go in Paris this is where I would suggest. The list is by no means exhaustive, simply a starting point. There are things to see and do everywhere you look. 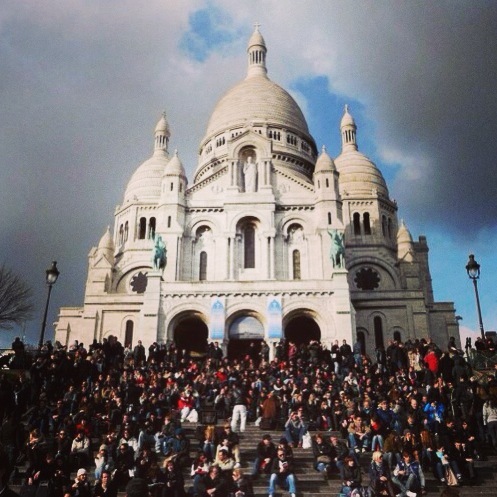 Sacré-Cœur – one of my most favourite buildings in the world. It looks so magical, like a fairy tale castle on top of the hill. For a few euro’s you can climb the dome (300 steps, no lift) and also go down to the Crypt. Views are great from the dome overlooking the whole of Paris but if you don’t fancy the climb there are still pretty amazing views just from the bottom of the Basilica. 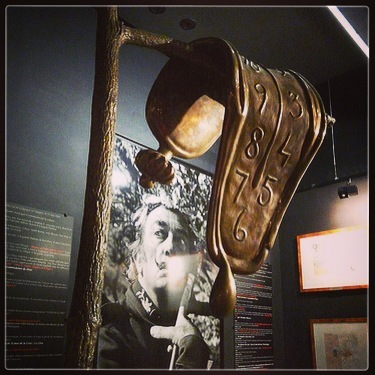 Espace Dali – I have been to several Dali exhibitions around the world but this dedicated small museum in Montmarte is a lot quieter and less hectic so you are able to enjoy the works. Feels quite hidden and a little bit of a secret gem. Café des 2 Moulins – a.k.a Amélie’s Café in Montmarte. This is the café that was in the beautiful film Amélie and is now dedicated to all things ‘Amélie’. It has always been rammed every time I walk past so I still haven’t been in properly myself, so it’s still on my ‘to visit’ list. 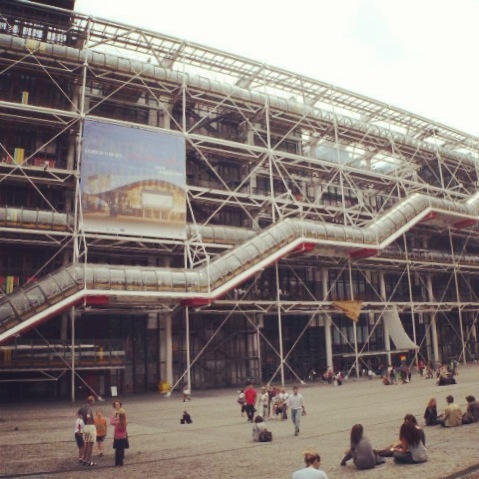 Pompidou Centre – even if you’re not an art lover, the building is just fabulous to see in itself. 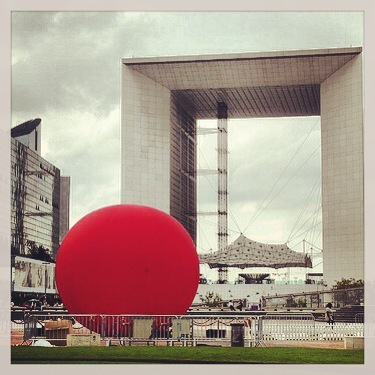 Plus if you take the escalator that winds up the outside of the building you will get views over Paris for free! Statue of Liberty – yes, you read that right! 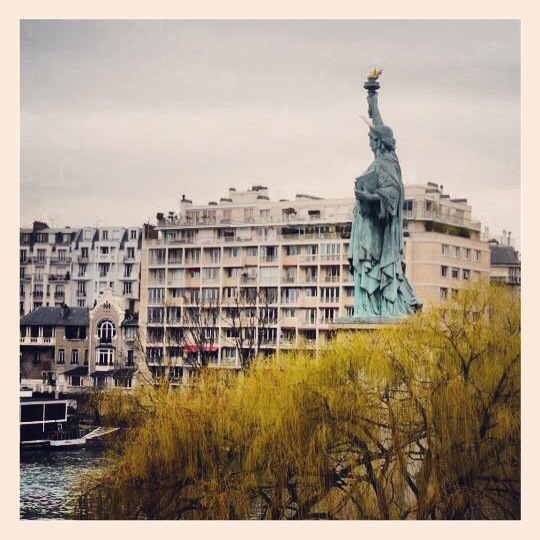 There is a mini Statue of Liberty in Paris. She’s sat in the middle of the Seine, close by is the Diana Memorial, if you so wish to see that. 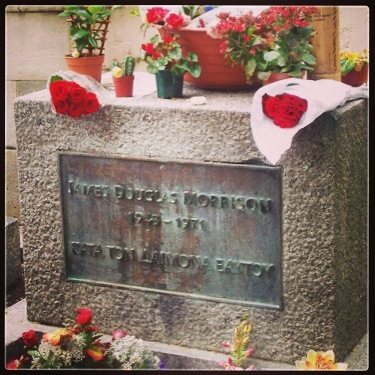 Père Lachaise Cemetery – Paris’ largest cemetery and most notable for being the last resting place of Jim Morrison and Oscar Wilde amongst many others. Just a short metro ride away from the centre. 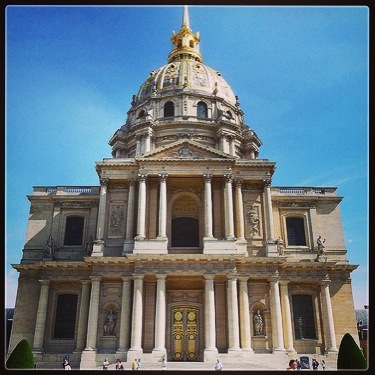 Les Invalides – lots of museums and monuments relating to France’s war history. For me the highlight was to see Napoleon’s Tomb. We made a rooky mistake though and forgot to do our research, it was a Monday. It’s quite common on a Monday in Europe for museums to be closed. The building is magnificent though! The Seine – A river cruise at sunset is worth doing (not just for the romantic couples) or have an amble down the river path. The thing that amazed me was the amount of people sat along the river – it wasn’t just romantic couples, but students in groups drinking wine, singles reading books, all kinds of people sat enjoying the atmosphere. 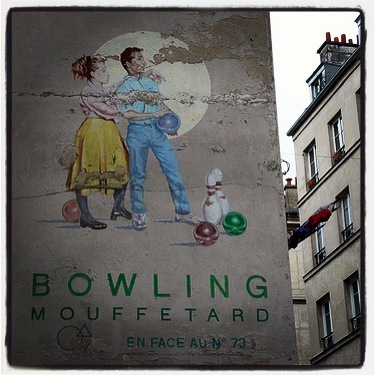 Rue Mouffetard – A street in the 5th arrondissement. Great for street art, street markets, cheap wine, cheese, cafes and watching the world go by. Arche de la Défense – mainly a shopping centre and office blocks but the architecture is modern and quirky with a splendid view all the way down to the Arc de Triomphe. Louvre – It feels wrong writing about Paris and not mentioning the Louvre. The Mona Lisa seems to be the first stop for the thousands of visitors they have a day. She’s smaller than you expect and surrounded by people all trying to take a picture! Obviously all you Da Vinci Code enthusiasts will love it too. Don’t forget the Louvre is free on the first Sunday of every month. 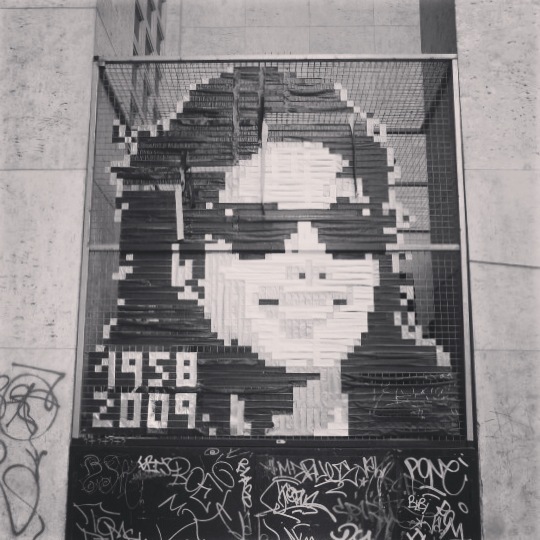 Palais de Tokyo – There is always some sort of quirky art exhibition going on but I love this place simply for their gift shop, lots of cool stationary, gifts and books to buy plus I stumbled upon this ‘street art’ around the back of the building – made using duct tape. Then there are the obvious…… Notre Dame (beware of the very many beggars), Musee Gallerie (Fashion Museum), Grand Palais (inspired by our Crystal Palace! ), Petit Palais (across the road from the Grand Palais), Eiffel Tower, Arc de Triomphe and for a spot of shopping Champs-Élysées is the popular choice (with the largest Sephora I have ever seen!). Lastly, don’t forget to take pictures of the Eiffel Tower from every single view point that you can (or is that just me?! ).